As we welcome a new month and get closer to the end of another year, let’s take a moment to reflect on what is working – and even wonderful – in our lives! 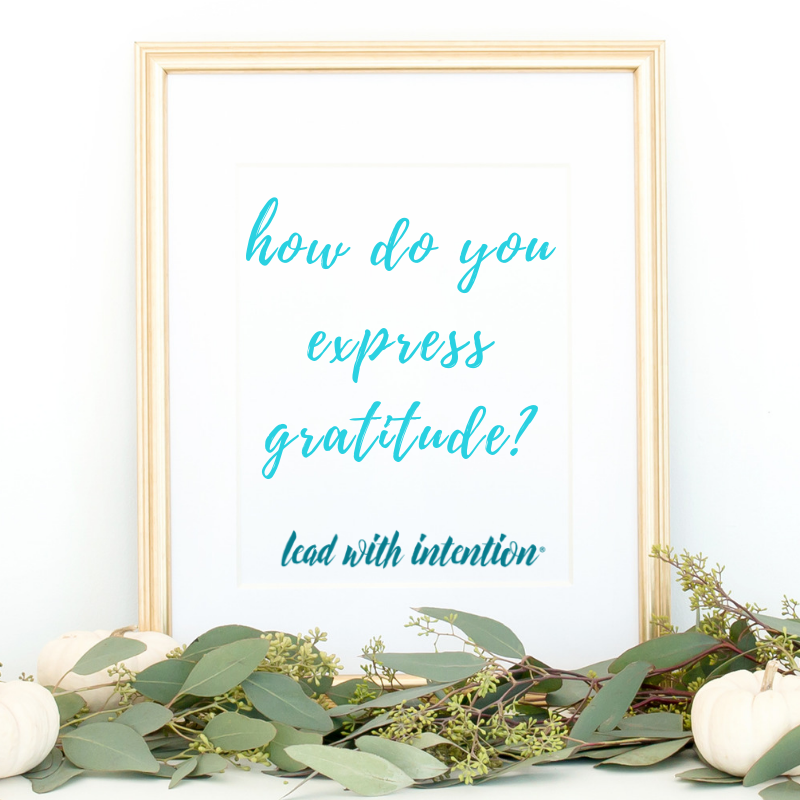 This month, we’ll be refocusing on the core value of gratitude and how being thankful can improve how we live and lead. 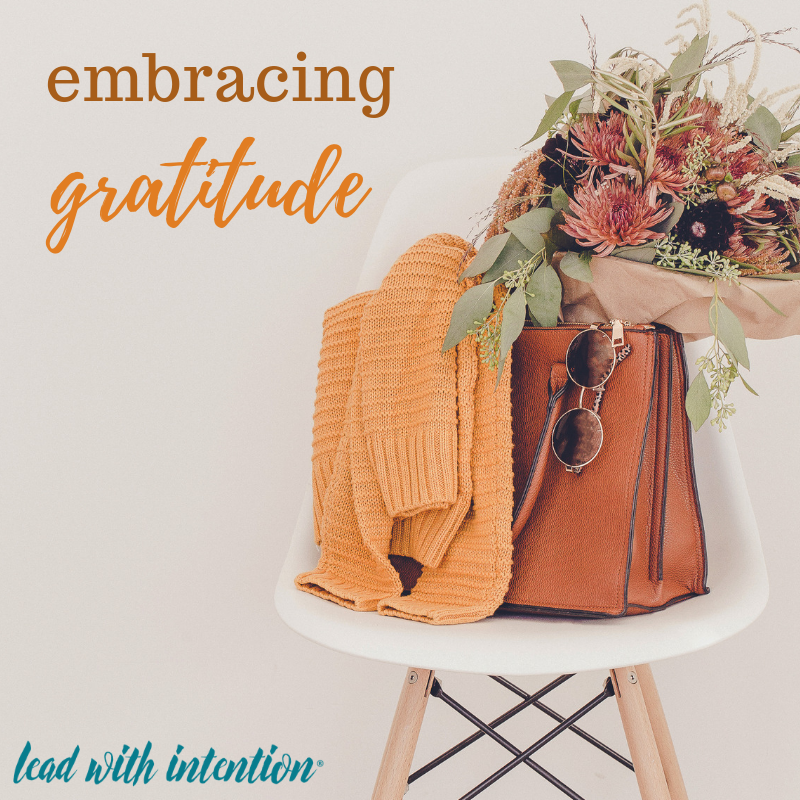 While all of these benefits are convincing enough, intentionally practicing gratitude showed me something even more compelling that made me think of thankfulness in a new way. Modeling Gratitude at Work: When a colleague or your supervisor does something noteworthy, make a point to share the impact of their actions with them, especially if you see it positively affecting others on your team or in your workplace. 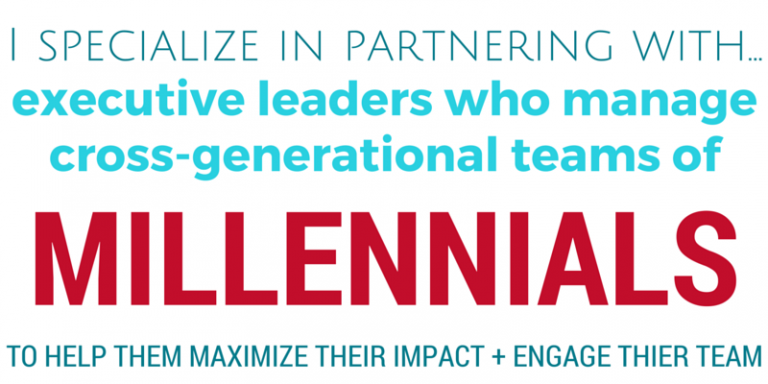 This is particularly important if you are managing a team and developing young talent. 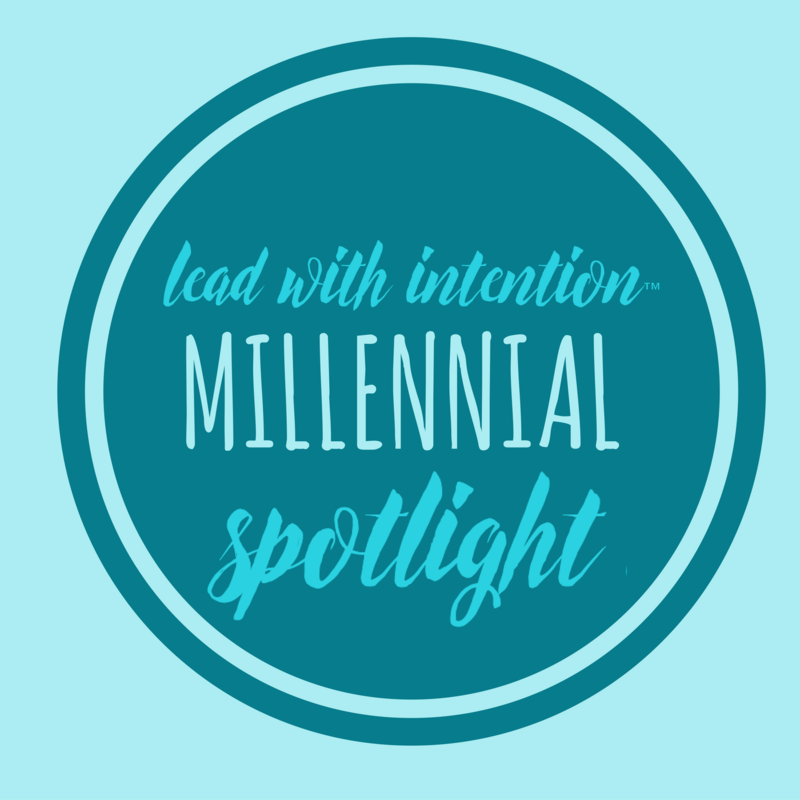 Example: I really appreciated your advocacy and support on this project and can see how your leadership has really boosted morale on our team! Practicing Gratitude at Home: Parenting is often so functional that we can miss moments of acknowledgement. Take time to specifically acknowledge your family members for their character, not just their behavior. The simple shift from expressing gratitude for someONE rather than for someTHING, can make all the difference! AH HA #1: Being thankful forces you to first be mindful – to understand what has made you who you are, where you are now. Maybe it’s identifying something you’ve overcome or recognizing a person or experience that has made your life better. AH HA #2: Gratitude also promotes an honest practice of self-awareness that makes us more in touch with our core values and what really is driving our life. It’s impossible to be truly grateful for something that isn’t really in line with how we want to live. 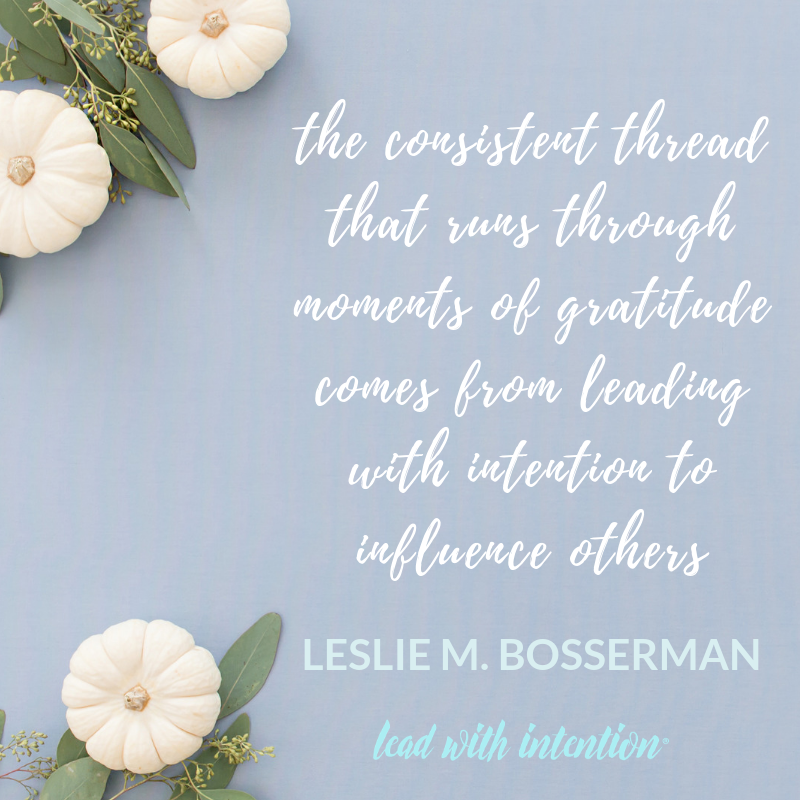 The consistent thread that runs through moments of gratitude comes from leading with intention to influence others. How can you express more gratitude this month?